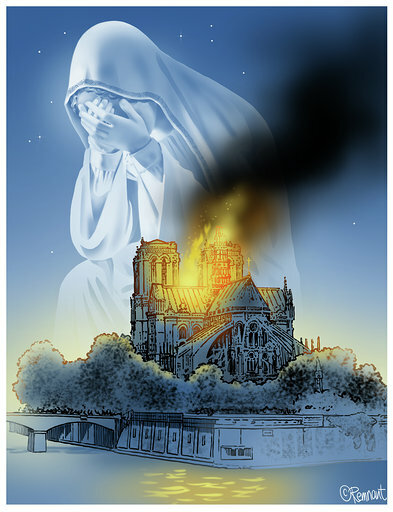 Plus, an old and prophetic French holy card surfaces, which depicts the Sacred Heart of Jesus and the Cathedral of Notre Dame in flames. The procession of the Crucifixion was headed by a trumpeter, who sounded his trumpet at every street corner and proclaimed the execution. Some paces behind him came a crowd of boys and other rude fel­lows, carrying drink, cords, nails, wedges, and bas­kets of tools of all kinds, while sturdy servant men bore poles, ladders, and the trunks belonging to the crosses of the thieves. 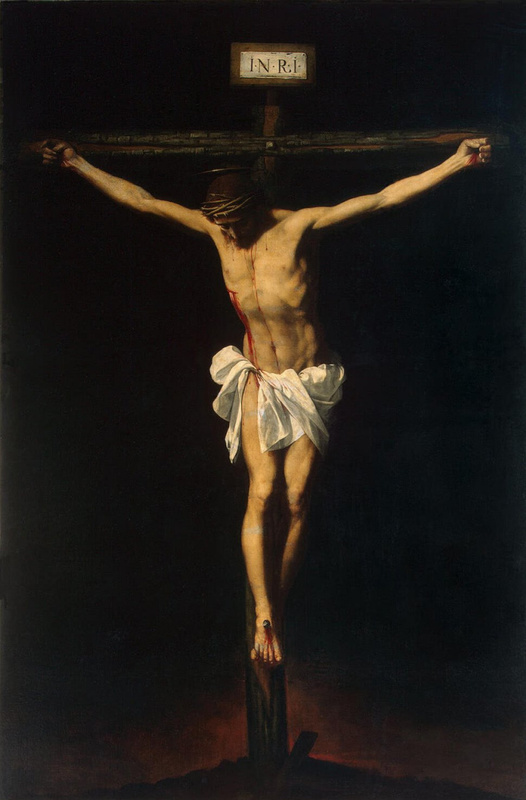 The crown of thorns, which it was impossible to leave on during the carriage of the cross, was taken from Christ's head and placed on the end of a pole, which this lad now carried over his shoulder.